Te Papa vertebrate curator Dr Colin Miskelly recently led a team that visited Takapourewa / Stephens Island Nature Reserve, to select and gather up 100 fairy prion chicks to move to Mana Island near Wellington. This is the first in a series of blogs about the project and the wildlife of Takapourewa. Over the past two or three decades, New Zealand conservationists have played a lead role in developing techniques to establish or re-establish seabird colonies. One of the earlier projects was an attempt to move fairy prions from Takapourewa (north of D’Urville Island) to Mana Island between 2002 and 2004. As a result, there are now 5-6 pairs of fairy prions breeding on Mana Island (see One step forward after three steps back – slow progress with restoring populations of New Zealand seabirds). 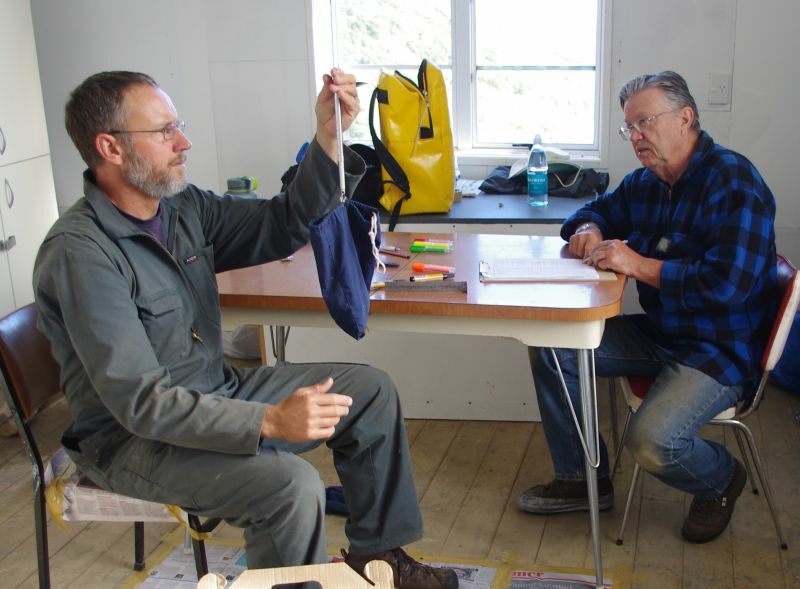 The Friends of Mana Island (FOMI) is a community conservation group actively involved in the restoration of Mana Island. 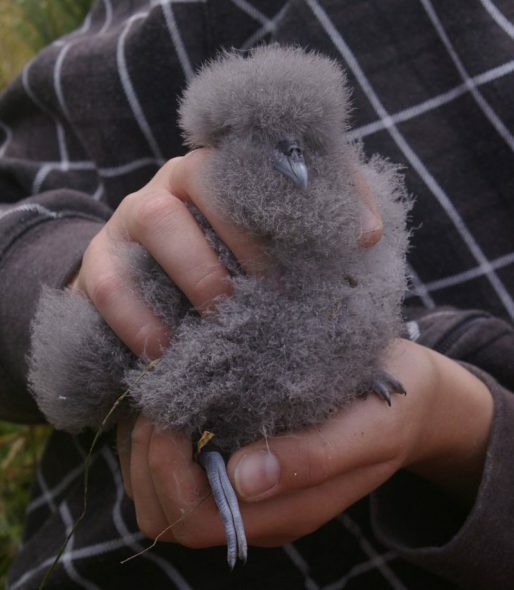 Over the next two years they are leading a project to increase the size of the Mana Island fairy prion population to a more secure level, by moving a further 200 chicks from Takapourewa. 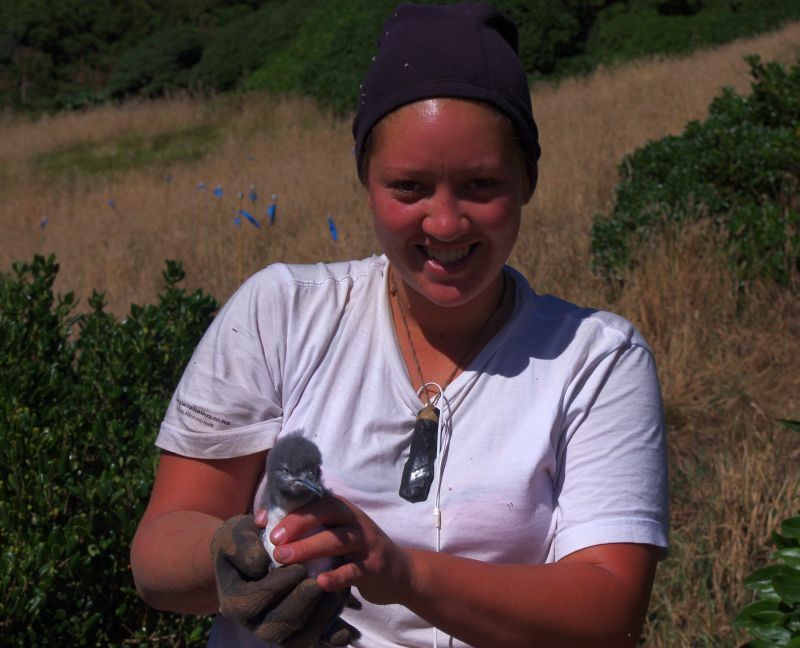 The chicks are being hand-fed on Mana Island until they complete their growth and fly out to sea. Based on previous experience, we expect at least 28 of the chicks to return to Mana Island when 2-3 years old. 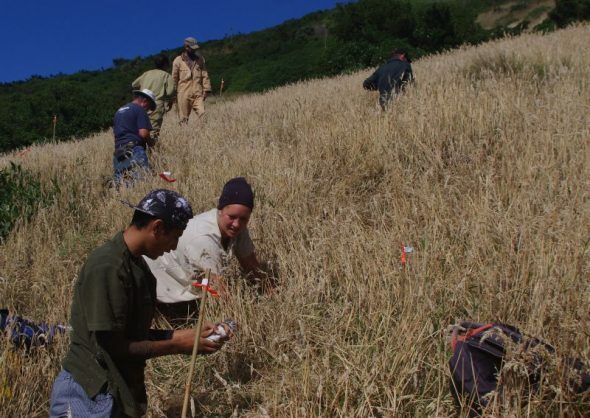 Takapourewa is one of New Zealand’s most important and fragile wildlife sites, and is co-managed by Ngāti Koata and the Department of Conservation (DOC). Our prion collecting team included two Ngāti Koata rangatahi, two FOMI members and two DOC staff, plus we were ably assisted by the two resident DOC rangers. Fairy prions nest in burrows underground, and most of the chicks on Takapourewa complete their growth and depart the island towards the end of January. 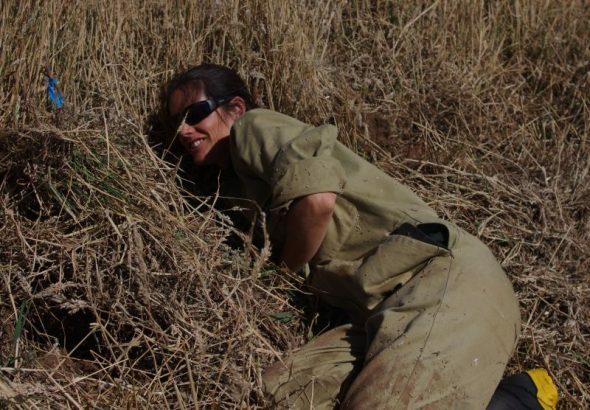 Our mahi involved selecting a site that was not too intensively burrowed (to minimise the risk of collapsing burrows as we moved around), then sticking our arms down burrows to locate chicks of the desired weight and stage of development. 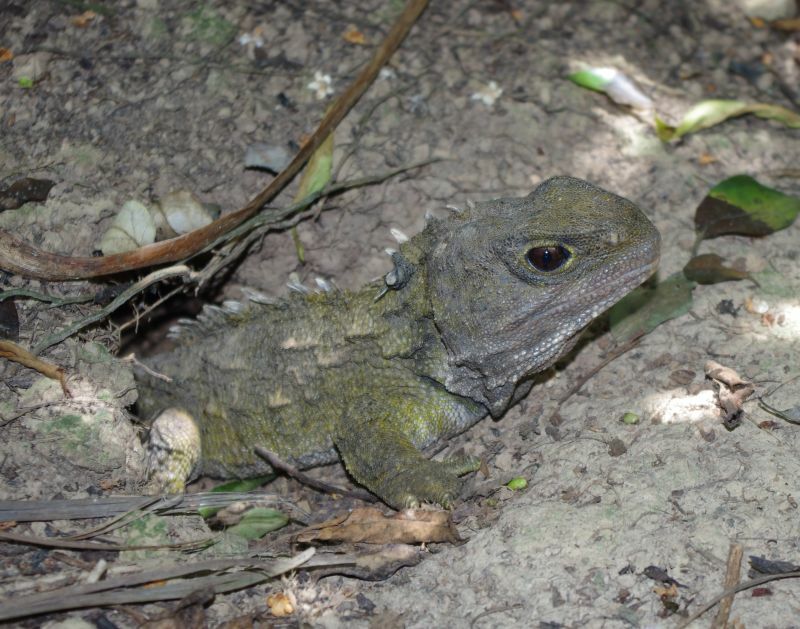 This required a certain amount of courage, as an estimated 50,000 tuatara live on Takapourewa, with many living inside prion burrows. Tuatara are legendary for their powerful bite and reluctance to let go once they latch on! 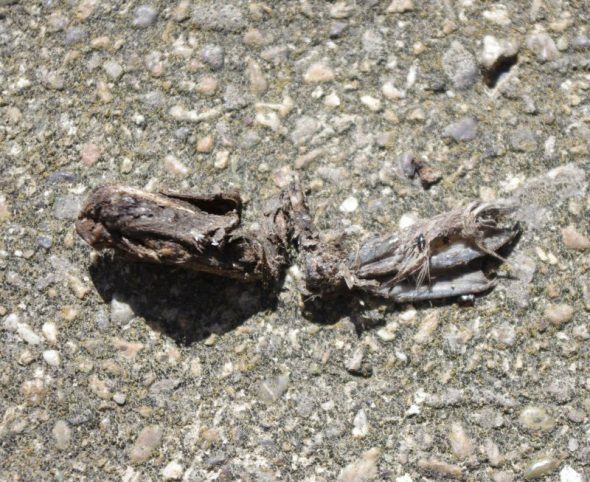 Over the course of three days, the team searched a total of 1655 burrows and extracted 392 fairy prion chicks before finding 120 that were of the desired wing-length and weight. We were seeking birds that would be on Mana Island for 2-8 days before flying out to sea, and that were above average weight, to enhance their chances of survival during those crucial first few weeks at sea. 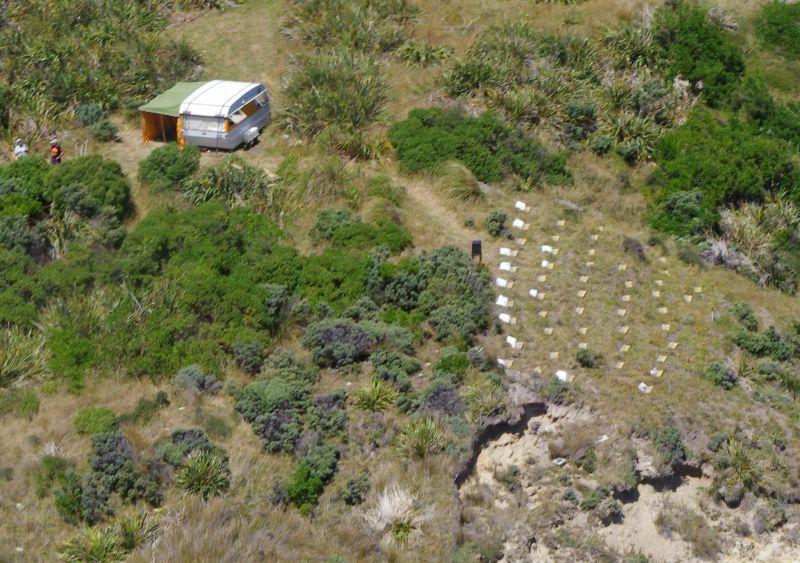 All the chicks were left in their burrows (which were marked) until the day that they were due to be moved to Mana Island. This ensured that their parents kept feeding them each night, but it did mean that a few chicks had gone missing when the team went to retrieve them. This is why we had selected 120 chicks, when we intended to move only 100. We suspect that a few of the chicks had flown out to sea, but one burrow on the final day was occupied by a large, well-fed looking tuatara! (Tuatara often eat fairy prion chicks). 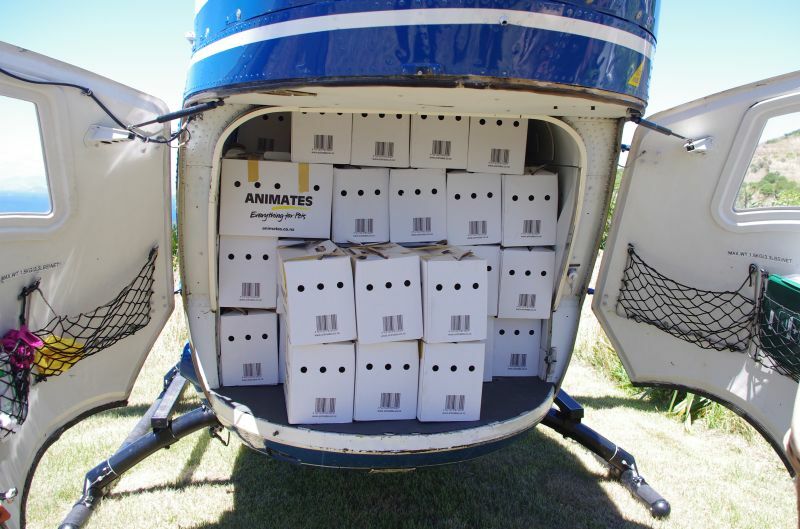 After a final weigh and measure, 100 chicks were selected and placed in boxes for the 80 km helicopter flight to Mana Island. The 50 boxes took up all the cargo space in the BK helicopter, meaning that all our personal gear, including a chilly-bin and guitar, was piled on our laps for the 30 minute flight. A large crowd, including FOMI members, Associate Minister of Conservation Nicky Wagner, and Porirua mayor Nick Leggett had assembled at the release site on Mana Island. Representatives from Ngāti Toa (as Mana Island tangata whenua) blessed the birds on their arrival, and acknowledged the gift brought across Cook Strait by our Ngāti Koata team members. One step forward after three steps back – slow progress with restoring populations of New Zealand seabirds). Wow, the team strikes a 100% success rate again: fantastic, Helen et al! And a great write-up, Colin! Thanks Jaap – though you have stolen my thunder for the sequel blog! Congratulations to Colin, Helen and Brian B. 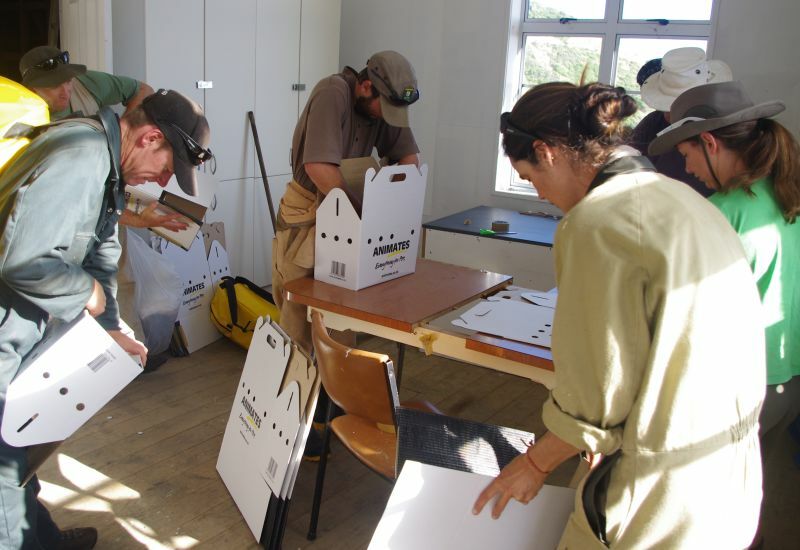 (the rest of the FOMI team and Ngati Koata reps) on the successful transfer of the fairy prion chicks. Good luck with the feeding and fledging. Awesome work Colin and team.